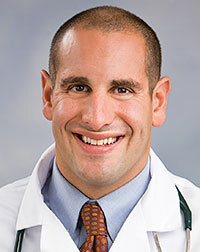 Busy, active children are naturally thirsty, but if you notice your child is consuming lots of liquids, making frequent trips to the bathroom and still complaining of thirst, take note, says Michael Ginsberg, M.D., pediatrician with NorthBay Center for Primary Care in Fairfield. If your child’s onset of increased thirst and frequent bathroom trips suddenly takes a different turn—with complaints of hot and dry skin, blurred vision, drowsiness or difficulty waking, confusion and vomiting—it’s time to take your child to the Emergency Department. These are all symptoms of diabetic ketoacidosis, a life-threatening condition that develops when cells in the body are unable to get the sugar (glucose) they need for energy. Without adequate glucose, the body begins to break down fat and muscle for energy, causing ketones to enter the bloodstream. This creates a dangerous chemical imbalance that must be treated with insulin, fluids and close monitoring, first in the emergency department, and then in the Intensive Care Unit, until blood sugar reaches normal levels, Dr. Ginsberg says. 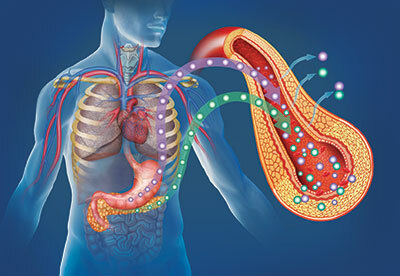 People who have Type 1 diabetes, or those who don’t take enough insulin, are at risk of diabetic ketoacidosis. Thankfully, it’s rare for Dr. Ginsberg’s young patients to discover they have the disease via an emergency department visit. It’s more likely they may find out in his office, when parents bring them in to talk about their child’s increased thirst and frequent urination. “Type 1 diabetes in children, is actually a rare disease,” Dr. Ginsberg says, “almost like being struck by lightning.” More often than not, a child who goes to the bathroom a lot may have “dysfunctional voiding,” or doesn’t completely empty his or her bladder every time they go. Either way, parents shouldn’t hesitate to see their pediatrician if they have concerns about any change in their child’s eating, sleeping or bathroom habits.